Prawitz's theories form the basis of intuitionistic type theory, and his inversion principle constitutes the foundation of most modern accounts of proof-theoretic semantics. 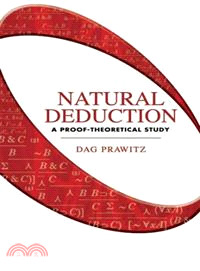 The proof-theoretical system represents a simpler and more illuminating method than alternative approaches, and this volume offers a succinct, coherent illustration of its applications to natural deduction. 1965 edition.